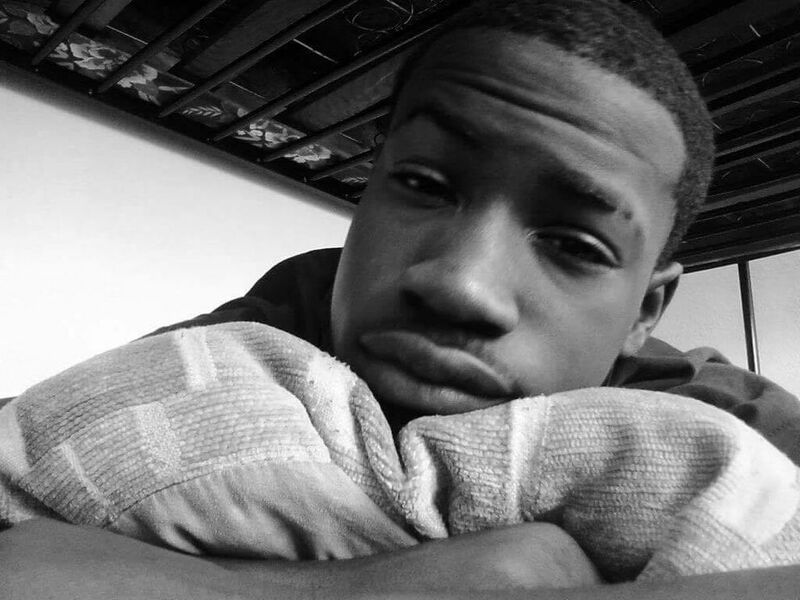 The aunt of Tiwan Marquis Johnson Jr., a 19-year-old shot and killed in East Anchorage early Tuesday, said her nephew was a good kid with positive influences simply trying to better himself in a state not originally his home. "He was not involved in street gangs," said April Robinson. "He was just a great kid from California trying to make a new life for himself." Now, the family is reeling from the news of Johnson's death. 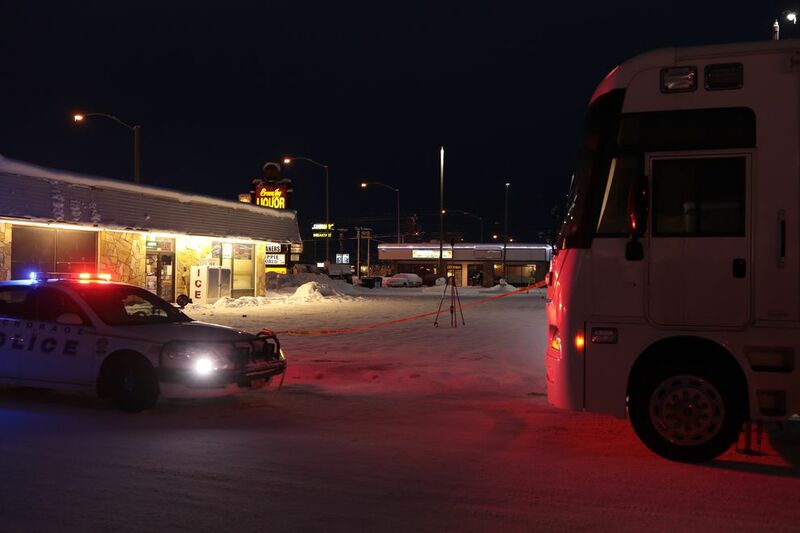 The teenager was taken to a hospital after a shooting outside the Brown Jug liquor store off Muldoon Road at 1:10 a.m. Tuesday, Anchorage police said. He died shortly after being transported; another man shot in the incident was hospitalized with non-life-threatening injuries. Police said there were several people present during the shooting, and investigators are trying to determine which of them were participants and which were uninvolved bystanders. Johnson had been living in Anchorage without his family for a short time. His mother and two younger siblings moved outside Alaska and he stayed behind, Robinson said. He came to Anchorage about three years ago, but it wasn't his first move to the state. His family is from Bakersfield, California, and they moved here to improve their lives, according to his aunt. A recent graduate of East High School, Robinson said Johnson was a member of the school's cheerleading squad and briefly played football there too. Robinson remembers attending a basketball game at the high school. She was surprised to see her nephew cheering the team and performing backflips for the crowd. "I just remember telling him, 'Boy, you're going to be somebody in no time if you keep doing those flips.' And now he's gone," she said. Numerous posts on Facebook about Johnson's death from friends describe the young man as loyal, humorous and good-spirited. His Facebook page includes postings about the violence seen in the city last year. "Rip to all those lost. Glad I made it to see 2017," Johnson wrote in a post with a picture of an Alaska Dispatch News story examining last year's 34 homicides. Among the victims' pictures published with the article is Foriegnne Aubert-Morissette, whom many knew by the nickname "Onie." Aubert-Morissette, 20, and 19-year-old Selena Annette Mullenax were discovered at Point Woronzof on Jan. 28, 2016. Mullenax was already dead, and Aubert-Morissette had "grave injuries" and was taken to a hospital where he died, authorities said. An Anchorage man has been charged with their murders. Robinson said Aubert-Morissette was adopted into the family. She said her adopted nephew was involved in gangs and always getting into trouble, but he was accepted and loved by her mother. Johnson was the opposite; he steered clear of problems with authority, she said. Johnson's court record does not include criminal cases beyond two misdemeanor charges for driving without insurance, and then driving with a suspended license. "What took place is very devastating because I've never even known him to be around guns … I do not understand what happened," Robinson said. "He wasn't raised to be a thug," she said.